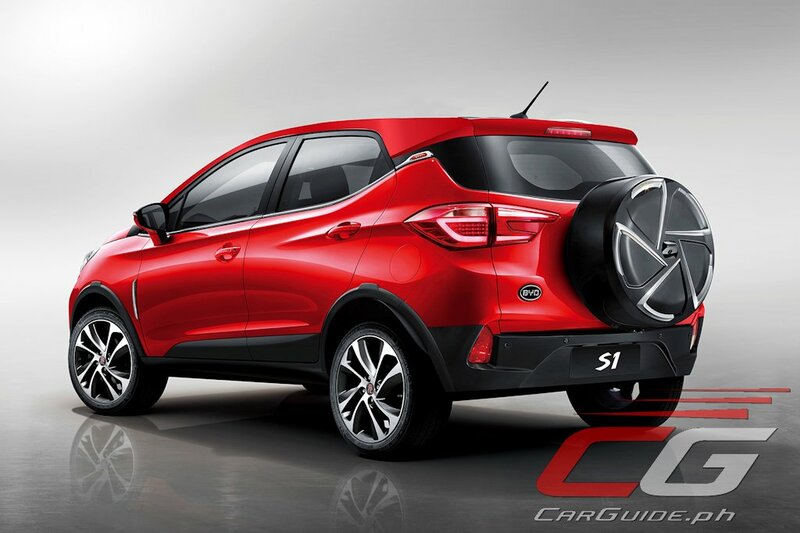 Solar Transport & Automotive Resources Corporation (STAR), the exclusive distributor of BYD automobiles is entering the sub-compact crossover game with the 2017 S1. The gasoline-powered S1 combines 5-seater comfort with reliable performance that’s suitable for both city driving and out of town trips. Having what BYD calls a “Rebellious Look”, the S1 features a sporty and distinct exterior. Upfront, it features automatic on/off halogen projector headlights with daytime running lights as well as an illuminated LED logo that helps identify it as an integral part of the BYD family. Over to the side, the S1 comes with power folding rear view mirrors with an integrated curb camera on the passenger side. At the back, the S1 gets a door-mounted spare tire and rear spoiler for a hint of adventure. Inside, the BYD S1 is thoroughly-equipped. The driver benefits from a barrel-type LED instrument cluster and leather steering wheel. The seats are also covered in leather with several storage compartments scattered throughout for various odds and ends. The 60/40 split-folding rear seats gives the S1 even more flexibility. In terms of infotainment, the S1 comes with an 8-inch Android OS-based system with Bluetooth hands-free and audio streaming. Steering wheel-mounted controls for sound and call management is standard as is a rear camera with backup sensors. Tire pressure monitors are also standard issue. The BYD S1 is powered by a 1.5-liter DOHC 16-valve 4-cylinder engine. Featuring a turbocharger, direct injection, and variable valve timing, it produces 150 horsepower at 5,200 rpm and 240 Nm of torque from 1,750 to 3,500 rpm. The sole transmission is a 6-speed automatic with power routed to the front wheels. In terms of safety, the BYD S1 is deemed one of the safest, categorized as a 5-Star rated car by the Chinese New Car Assessment Program or C-NCAP. The S1 comes with dual SRS airbags, anti-lock brakes, electric stability control with hill descent control. 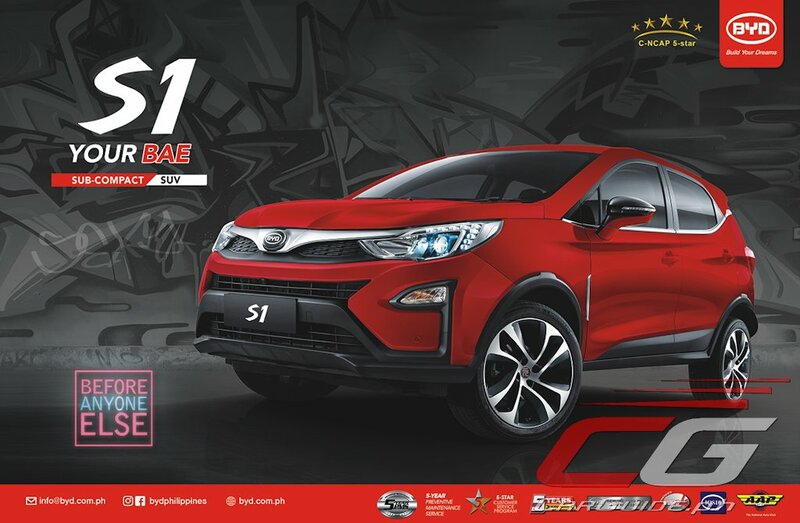 The 2017 BYD S1 is packed with so many features, but the best thing is its introductory cash price of just P 999,000 (regular price is P 1,068,000). This is inclusive of a 5-year warranty, free 5-year PMS oil change program package, 3-year LTO registration, tint, matting, and even a dashcam. The best part is the free 5 year warranty and 5 year PMS and oil change program. That kinda gives me confidence in the product... hope they last that long lol but seriously this is a compelling proposition.